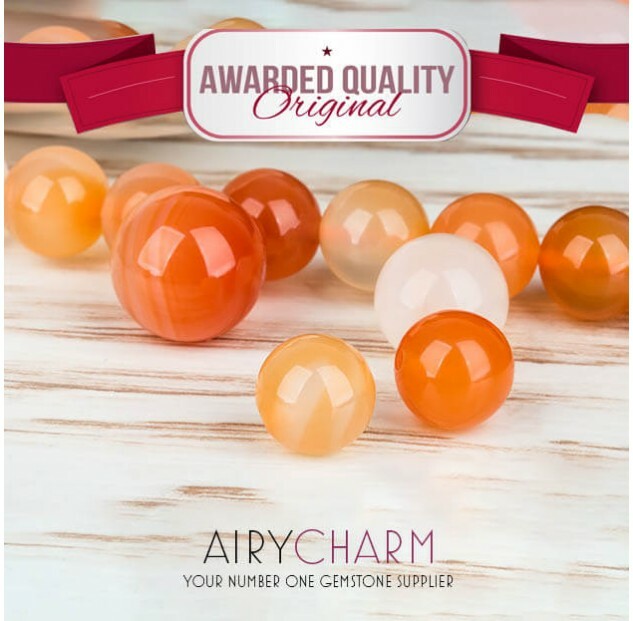 If you like using different colors and shades for your jewelry and decorations, then our colorful agate beads will be perfect for you. There are different shades ranging from orange, bronze, copper, gold, rose, and a perfect snow white color. Together, the beads looks perfect and the shades complement each other really well. 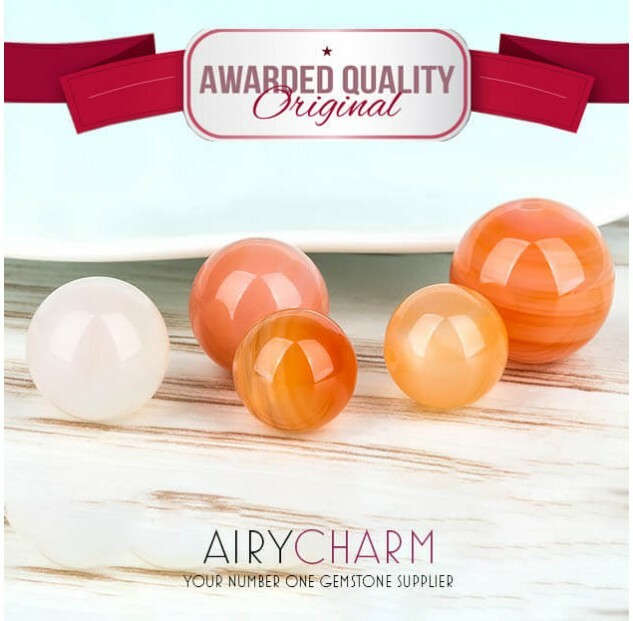 Since agate is a very common and widely used stone, it is great to have a variety of colors and shades, because all of them bring something new to the mix. Agate stones also have a long history and have been used since the Neolithic time for healing, protection, as well as decoration and design. The metaphysical power of the agate stones has been known for centuries and it is still used today. 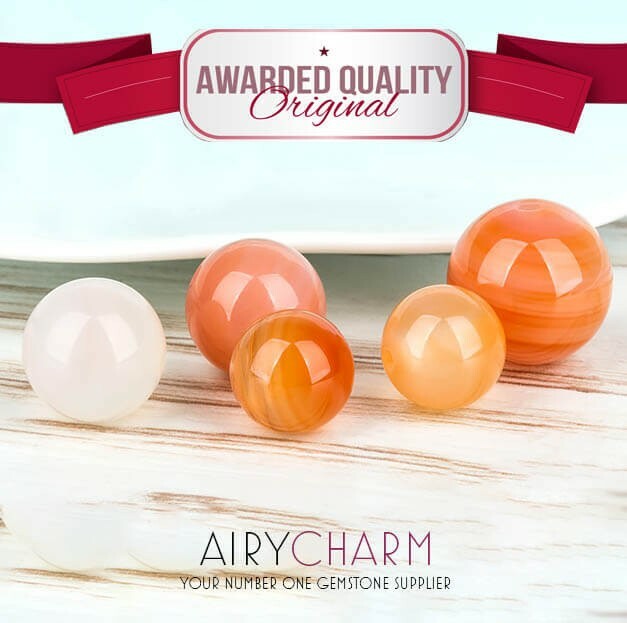 Orange and rose colored agates all carry similar energies which are quite moving and call for changes. There is a fiery force there which is great for people who need that extra push to stand up for themselves, express their feelings, and make important changes. 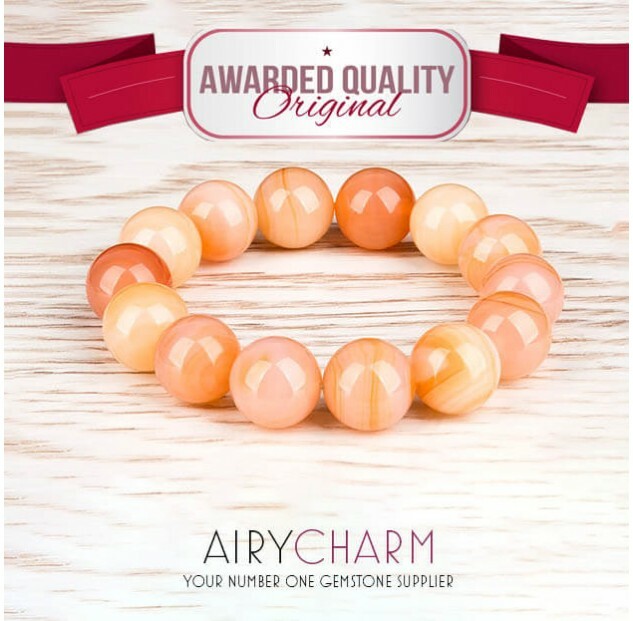 The rose colored agate is quite romantic and will definitely attract new romance into one’s life. 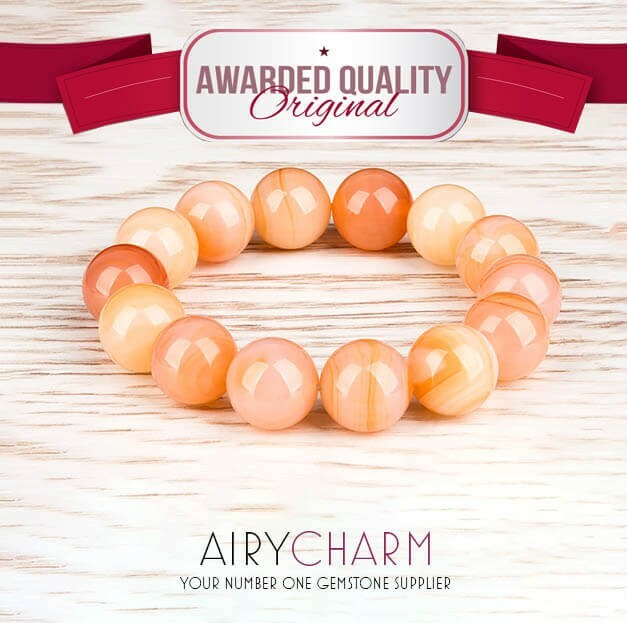 Wearing a pink colored charm always helps translate your energy to other people and make you stand out more. When our love interest notices us, that’s the best feeling ever because it means we have a chance. Confidence is also very important when looking for a new relationship. Other people definitely pick up on how confident and sure of ourselves we are and that plays a great deal in attraction. 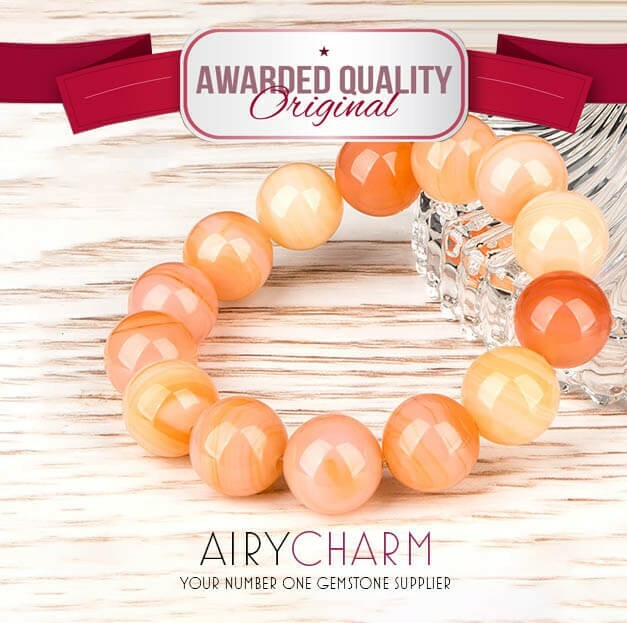 Wearing this selected shades of agates will definitely give you that boost you need and make you feel more at ease with yourself and others. 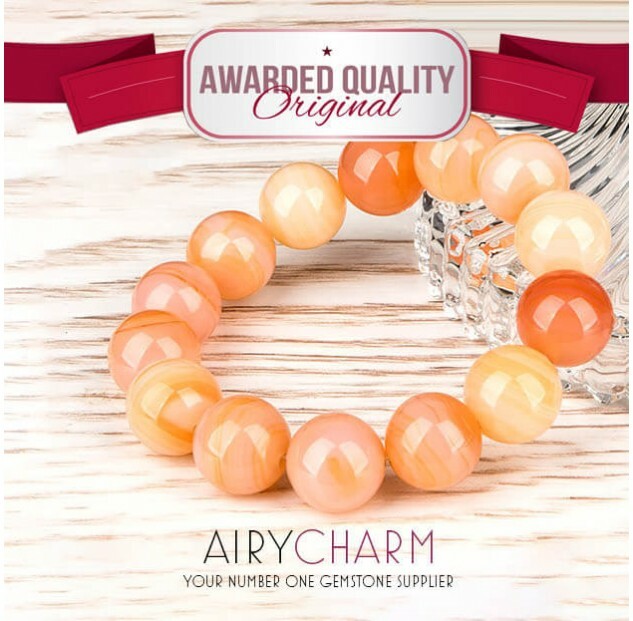 The fiery agate shades are also good for business and help improve your leadership skills. 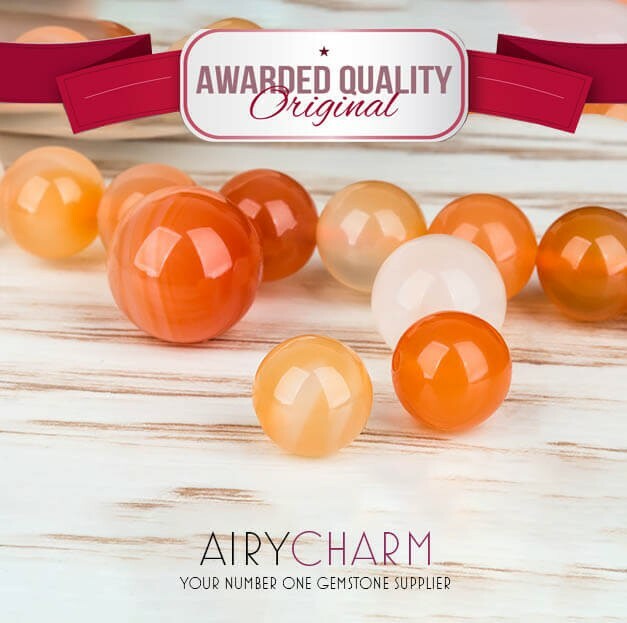 Anyone who lacks drive or confidence in their work will definitely benefit from wearing these colorful agate beads. Whether you’re a man or a woman, business can oftentimes be ruthless and a demonstration of the survival of the fittest. Anyone who doesn’t speak up or lacks confidence unfortunately probably won’t succeed. Agate helps to bring out that passion and fire for the job you do. The white agate is particularly special and it actually works great in this combination of colorful agates. White energy is very purifying and grounding which means there will be a great balance with the other red and rose agates. They will give you the confidence and the energy you need, but the white agate will keep you grounded throughout your decision making and the process of change. White agate will also remind you to stop every now and then and take a moment. Having a lot of energy and doing great at your job is awesome, but it’s also important to take it easy every now and again. You should make time for yourself where you can relax, rewind, and regenerate. That energy simply needs to be balanced out and thought out. Otherwise, it will disperse very quickly.